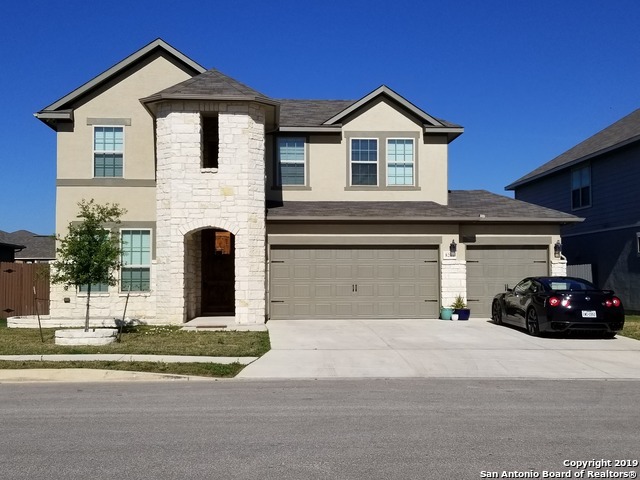 All TALISE DE CULEBRA homes currently listed for sale in San Antonio as of 04/20/2019 are shown below. You can change the search criteria at any time by pressing the 'Change Search' button below. "Brand NEW energy-efficient home ready February NOW! Work from home in the Glen Rose's private main floor study before enjoying happy hour outside under the covered patio. Located within award winning Northside Independent School District, near shopping centers and places of recreation. Known for their energy-efficient features, our homes help you live a healthier and quieter lifestyle while saving thousands of dollars on utility bills." "Brand NEW energy-efficient home ready NOW! Work from home in the Glen Rose's private main floor study before enjoying happy hour outside under the covered patio. The owner's suite is separated from the game room upstairs. Located within award winning Northside Independent School District, near shopping centers and places of recreation. Known for their energy-efficient features, our homes help you live a healthier and quieter lifestyle while saving thousands of dollars on utility bills." "Former model home available now as-is! In the Cimarron, work from home in the quiet study with views out to the covered back patio. Formal dining room downstairs and the gameroom upstairs create space for the family to enjoy. Located within award winning Northside Independent School District, near shopping centers and places of recreation. Known for their energy-efficient features, our homes help you live a healthier and quieter lifestyle while saving thousands of dollars on utility bills." "Gorgeous home move in ready! This home offers High ceilings, beautiful flooring, granite finishes in the kitchen, lots of upgrades. 2-story home with master bedroom located on main level, a formal dining room & large island kitchen opening to a casual dining area. Three bedroom and a bonus living area for the kids upstairs. Extra large covered patio. 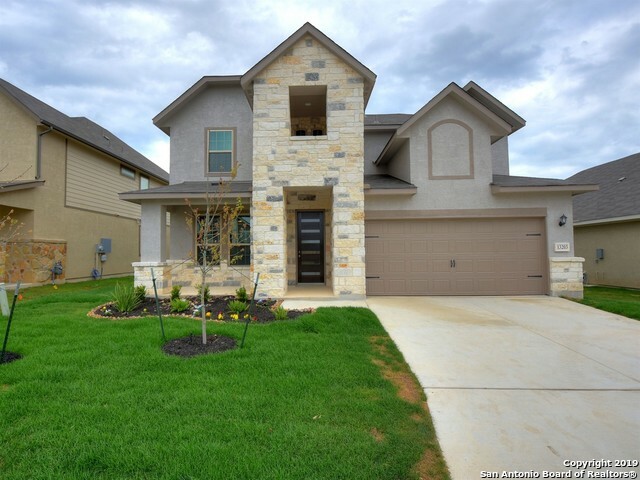 Located within the award winning Northside Independent School District & near area shopping centers, Lackland AFB & Government Canyon"
"Brand NEW energy-efficient home ready NOW! Versatile main level flex space of the Lantana home makes a charming living room or office. Upstairs, secondary bedrooms and the game room. Located within award winning Northside Independent School District, near shopping centers and places of recreation. Known for their energy-efficient features, our homes help you live a healthier and quieter lifestyle while saving thousands of dollars on utility bills." "Brand NEW energy-efficient home ready NOW! Lantana home open floor plan, upstairs game room. Located within award winning Northside Independent School District, near shopping centers and places of recreation. Known for their energy-efficient features, our homes help you live a healthier and quieter lifestyle while saving thousands of dollars on utility bills." "Brand NEW energy-efficient home ready NOW! Follow the foyer to the gourmet kitchen overlooking the dining and living rooms of the Greenbriar. The main level owner's suite is secluded from the game room and secondary bedrooms upstairs. Located within award winning Northside Independent School District, near shopping centers and places of recreation. Known for their energy-efficient features, our homes help you live a healthier and quieter lifestyle while saving thousands of dollars on utility bil"
"Brand NEW energy-efficient home ready NOW! Work from home in the Cimarron's quiet study with views out to the back patio. Dual closets in the owner's suite solve storage issues. Located within award winning Northside Independent School District, near shopping centers and places of recreation. Known for their energy-efficient features, our homes help you live a healthier and quieter lifestyle while saving thousands of dollars on utility bills." "The Hayden-Silver floorplan features 4 bedrooms, 2.5 bathrooms, a large kitchen and dining area that opens into the family room, study, game room, media room. 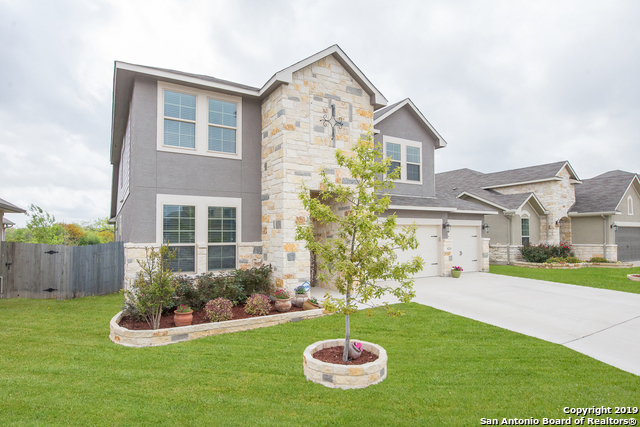 An ideal location in West San Antonio near Alamo Ranch gives you a small town feel while still being in close proximity to downtown. 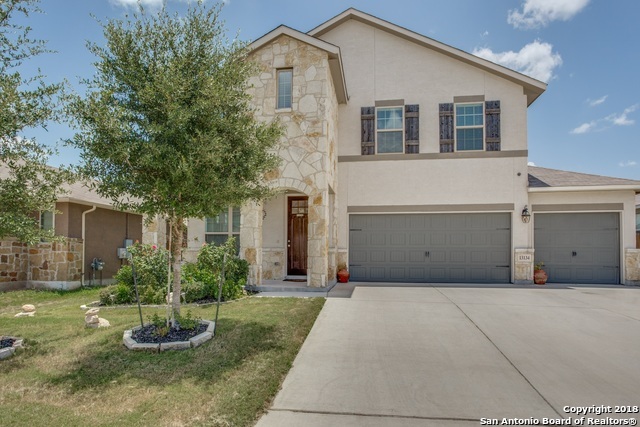 As a resident of Talise de Culebra, you will enjoy the benefit of low taxes and being zoned for the highly acclaimed Northside ISD." "Gorgeous home! Excellent condition & shows like a model! Home features first-floor master bed with bay window. Large backyard with mature trees, Trex deck with cedar pergola, covered patio, custom playset, and backs to greenbelt. Kitchen has granite tops, stainless appliances, gas range, recessed lights and is open to family room. Energy efficient Meritage design and no city taxes. Minutes from Government Canyon State Natural Area. Fantastic schools and great neighbors!" "Brand NEW energy-efficient home ready NOW! Simplify busy mornings with dual walk-in closets and vanities in the owner's suite. When it's time to unwind, watch a movie in the game room. Located within award winning Northside Independent School District, near shopping centers and places of recreation. Known for their energy-efficient features, our homes help you live a healthier and quieter lifestyle while saving thousands of dollars on utility bills." "Brand NEW energy-efficient home ready NOW! 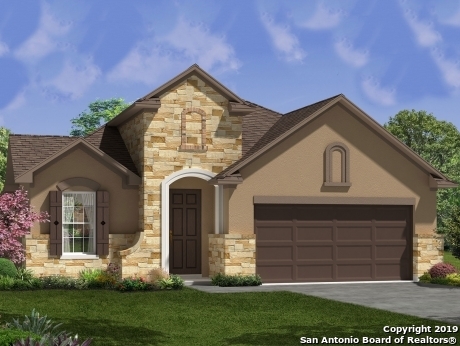 In the Cimarron, work from home in the quiet study with views out to the covered back patio. Formal dining room downstairs and the gameroom upstairs create space for the family to enjoy. Located within award winning Northside Independent School District, near shopping centers and places of recreation. Known for their energy-efficient features, our homes help you live a healthier and quieter lifestyle while saving thousands of dollars on utility bills." "Brand NEW energy-efficient home ready NOW! Simplify busy mornings with dual walk-in closets and vanities in the owner's suite of the Elderberry home. When it's time to unwind, watch a movie in the game room. Located within award winning Northside Independent School District, near shopping centers and places of recreation. Known for their energy-efficient features, our homes help you live a healthier and quieter lifestyle while saving thousands of dollars on utility bills." "IMMACULATE HOME INCLUDES LOTS OF UPGRADES! 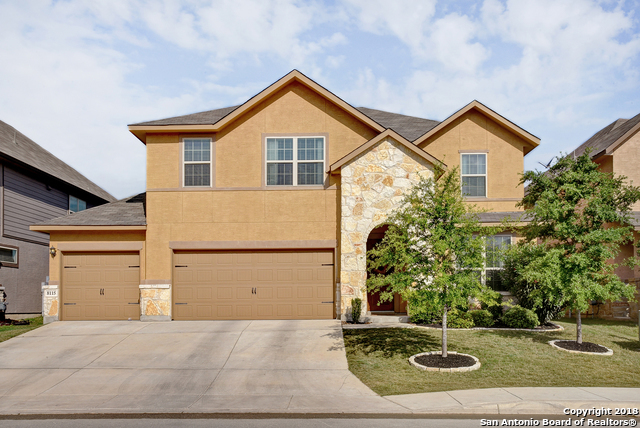 Stunning 2-story energy-efficient home in the Talise de Culebra neighborhood has Years left on Builder's Warranty, master bedroom located on main level, a formal dining room & large island kitchen opening to a casual dining area. Upstairs you'll find three bedrooms including two full baths, in addition to the game room & media room. 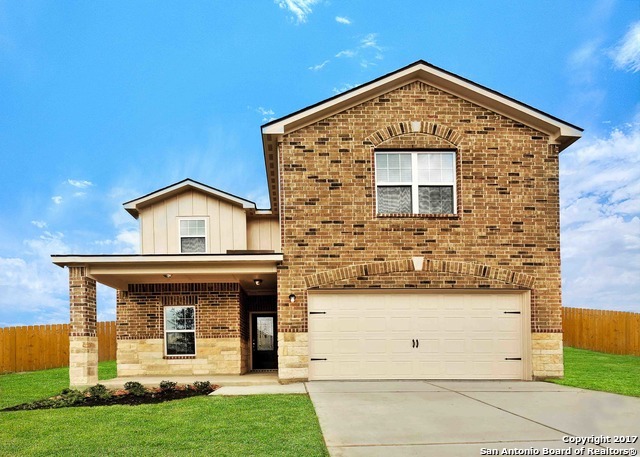 Located within the award winning Northside Independent School District & near area shopping centers, Lackland AFB & Gover"
"You wont want to miss out on this one of a kind home. The backyard is so inviting and entertainers delight, wonderful vegetable and herb garden full of yummy food and the magnificent fruit trees are some of the amazing features this home offers. The gorgeous fireplace and wall feature you wont find it in any other home around, 2 study areas, gameroom, great size rooms, tons of storage... dont miss out and come see it today!!" 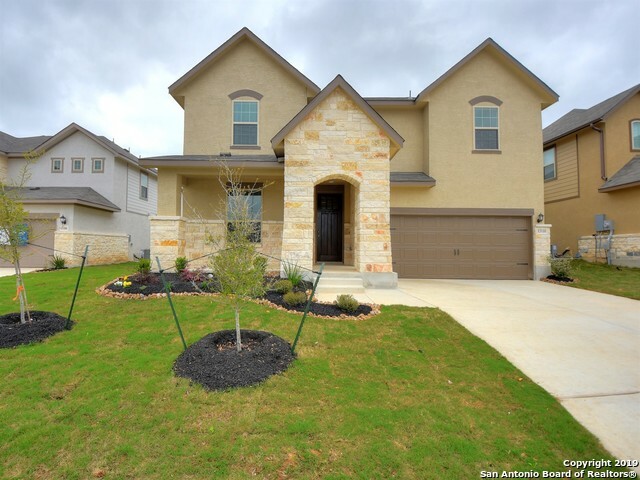 "New from LGI Homes: This beautiful new 2 story home features 4 bedrooms and 2.5 bathrooms. The kitchen features beautiful wood cabinets and energy efficient appliances. New refrigerator included! Additional features include brushed nickel hardware, vaulted ceilings, large master closet and utility room." "Brand NEW energy-efficient home ready March-April 2019! Work from home in the Cimarron's quiet study with views out to the back patio. Dual closets in the owner's suite solve storage issues. Located within award winning Northside Independent School District, near shopping centers and places of recreation. Known for their energy-efficient features, our homes help you live a healthier and quieter lifestyle while saving thousands of dollars on utility bills." "Beautiful and spacious 3 bedroom with 3 FULL bath home in the highly sought out community of Talise de Culebra. This floor plan gives way for so many grand features such as granite counter tops, tile in all wet areas, study, huge game room and so much more. Come take a look today!" "The Kendall, a beautiful 1-story home, welcomes you. This home features 3 bedrooms and 2 bathrooms in an open and spacious layout. 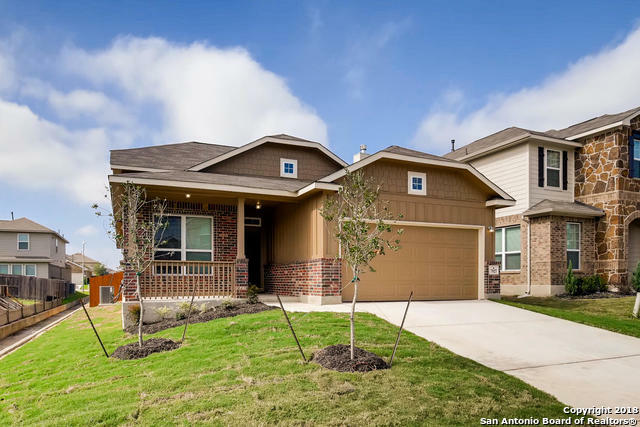 $10,000 worth of upgrades are included with this brand-new home such as Whirlpool kitchen appliances, spacious granite countertops, designer wood cabinets, a landscaped front yard and a fully fenced backyard. 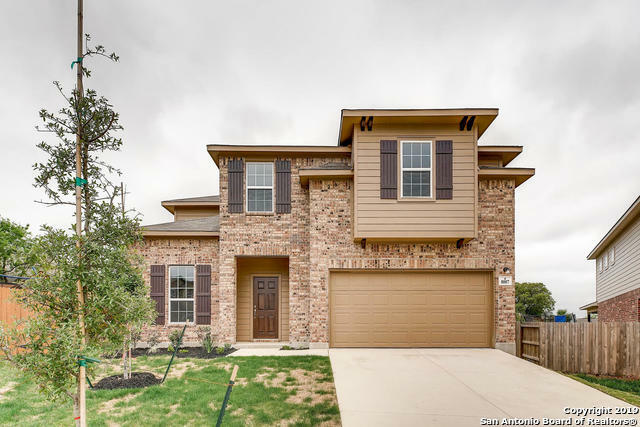 In addition, the Kendall is located in the amenity-rich neighborhood of Talise de Culebra, one of San Antonio's premier new home communities."